While the Mother City’s spirited Cape Malay people claim a host of endearing cultural quirks – an inherent vibrancy, unique dialect and musical style, fiercely strong sense of fellowship and even their own annual carnival, to name but a few – their distinctive cuisine and cooking approach is, arguably, the most prominent cornerstone of their collective identity. Infused with rich history, this traditional style of food originated in the 17th century when the forefathers of the current community were transported as slaves from Southeast Asia (especially Java and Malaysia) to the Cape (a half-way station on major trade routes) by Dutch colonisers, bringing with them their recipes and culinary practices. 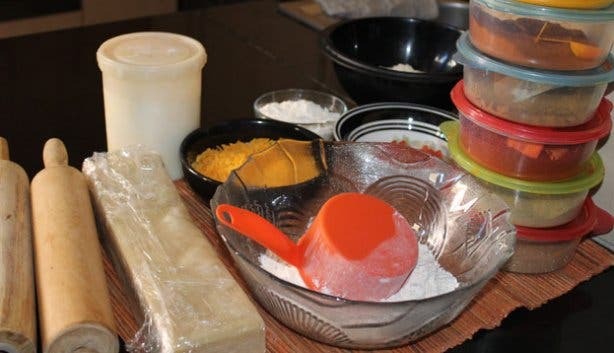 While the fare has retained many aspects of its Javanese origins, it has also adapted and evolved over time – in part to accommodate a European palate – such that it’s now widely considered a form of cuisine that’s uniquely and quintessentially Capetonian. 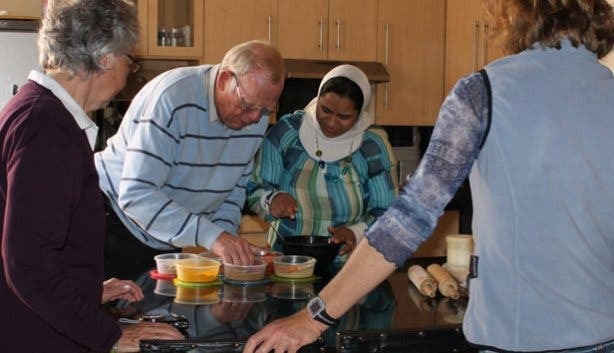 It is partly in an effort to preserve such heritage that, today, a handful of local ladies living in the Bo-Kaap – an animated ethnic neighbourhood that sits on the slopes of Signal Hill – have taken it upon themselves to provide members of the public with lessons in traditional Cape Malay cooking, a trend that started around 2006 and now attracts a significant amount of trade. Though initially predominantly popular only among foreigners seeking an unusual, non-touristy thing to do when visiting the city, these food expeditions – which, being held in modest Malay kitchens, are as authentic as they come – have also more recently drawn in a number of locals (men included) looking to expand both their understanding of Cape customs and their culinary repertoire. On the day I sit in on the bubbly Gamidah’s two-hour long lesson, her ‘students’ comprise a zealous German-born Mother City resident and her more tentative parents over on a brief vacation from Deutschland. 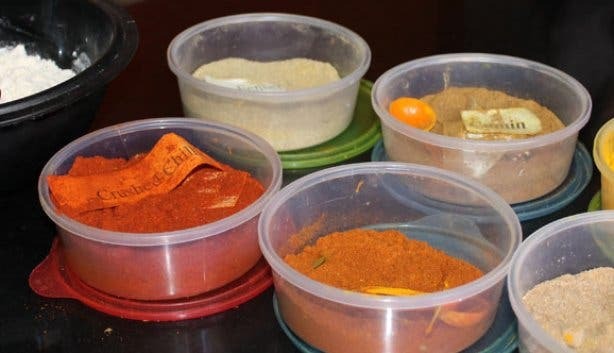 Like most of the hands-on classes on offer, the seasoned cook’s session starts with an exploration of multiple tins and tubs of earthy-coloured aromatic spices, easily the most fundamental element of Cape Malay cuisine. Guiding her pupils patiently but with the zest of someone in their comfort zone, the dedicated tutor demonstrates how to sprinkle heaped spoonfuls (amounts are more a matter of sixth sense than anything set in stone) of cumin, masala, fennel, coriander and crushed chilli into a saucy onion base for chicken curry – a traditional staple – and, separately, into a floury mix used to prepare deep-fried dhaltjies (round, snack-sized chilli bites that, ironically, lack significant chilli). In addition to affording full flavours and interesting texture, which, as Gamidah explains while she pries sticky dough for the roti (a buttery, flaky flatbread) off the hands of one of her apprentices, are defining features of their food, the spices – particularly the deep yellow turmeric – are also used to imbue the dishes with colour. 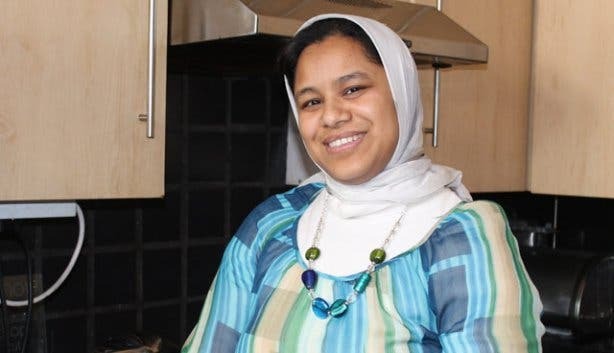 “Cape Malays are naturally colourful people,” asserts Zainie Misbach, another warm, welcoming local that’s opened her home to the masses for lessons. “It’s about self-expression, our true nature coming out,” – a point that’s reflected not only in their fare but also in the boldly-painted facades of their houses. Strolling through the Bo-Kaap’s cobbled streets viewing the succession of bright abodes is a key additional activity incorporated into many of the cooking classes on offer in the area. 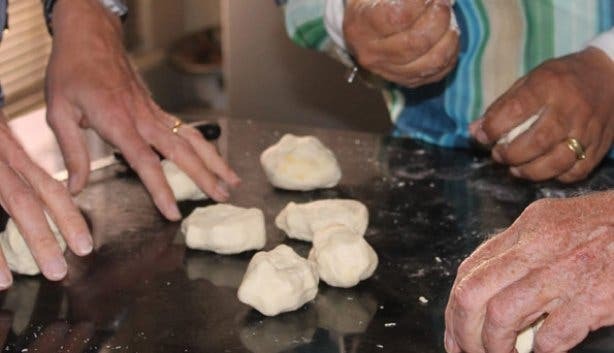 Aside from teaching time-old culinary techniques, several of these ‘safaris’ also include a tour of the surrounding neighbourhood, a visit to the historic museum and the almost as ancient Atlas Trading spice shop (a veritable institution in the district), and discussions about the history and provenance of the people. Similarly, Gamidah infuses her sessions with interesting titbits of insight into her cultural ways and customs. While showing us how to fold onion-and-cheese-filled samoosas (not an easy task by any means), for example, she chit-chatters away about how meals play a central role in religious ceremonies; how despite adaptations, the traditional way of preparing food still comes out top; how curry should always be cooked with the lid off; and how she, and the vast majority of other Malay women, first acquired the tricks of the trade. Though the medley of dishes we’re conjuring up during the class is diverse, what remains constant through the rolling of dough, the spreading of butter, the frying of chilli bite balls and roti, the stirring of pots and the mixing of fragrant spices is a prevailing sense of conviviality and festivity; the small room is filled with light banter and merriment, and there is ample tasting and abundant giggling – as one of her students has previously declared, cooking with Gamidah is more like cooking with a comrade than a coach. As the tutorial slowly tapers to a close, the generous mentor spreads out our creations (and a surprise batch of koeksisters – round, spiced, coconut-covered treats) on her kitchen table and invites us to sit and dine together, making a point of explaining customary practices (such as the religious norm of eating with the right hand, not the left, for the sake of cleanliness). 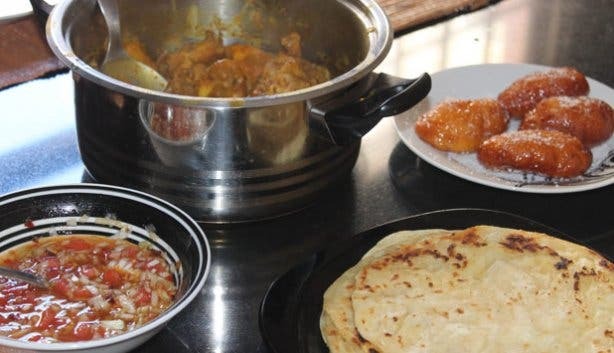 The fare is tasty and flavourful yet mild (Cape Malay cuisine is piquant and aromatic but not chilli-hot) and the setting is delightfully social, another prominent feature of their culture. Needless to say, then, learners leave such lessons with much more than merely a fresh set of skills and a full belly; instead, in many cases, trainees walk away with newfound friends, a greater depth of cultural understanding, a renewed appreciation for home-cooked food, and the sense of fulfilment that comes with having had a meaningful authentic Cape experience. Popular the whole year but particularly over Easter, we’ve got the inside scoop on making the ultimate pickled fish recipe. Try a pop-up five-course gourmet dinner at this exclusive cooking event. Don’t forget to follow us on Twitter, like us on Facebook and check out our Pinterest boards for updates.